Aimee and Hannah Goodrich took first place in the chili cookoff. They competed against seven other entries and were excited to take home the blue ribbon! 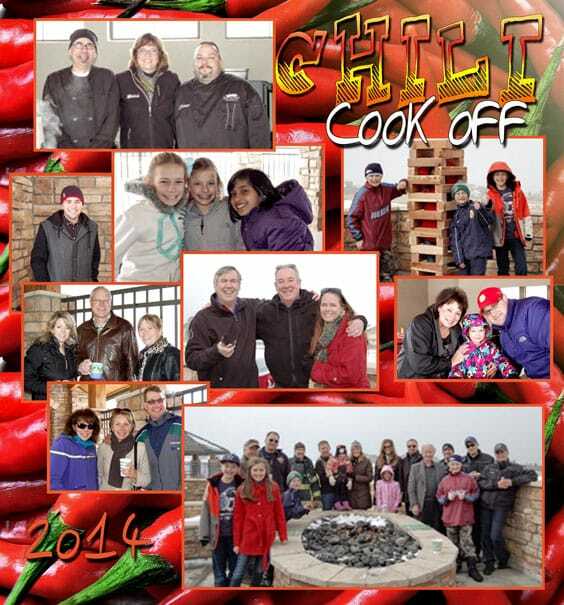 The second annual Winterfest and chili cookoff in Castle Pines Village (CPV) was a huge success despite the chilly weather. Nearly one hundred people joined neighbors and friends at the Summit Club for games, music by resident DJ Tim Toole, and yummy chili and treats from 5280 Culinary catering. Neighbors were invited to bring their best chili for the chili cookoff and “celebrity” judges, including The Country Club at Castle Pines Executive Chef Brian Dennis were on hand to choose the winner. Tony’s Market donated prizes and the attendees enjoyed sampling all of the entries. 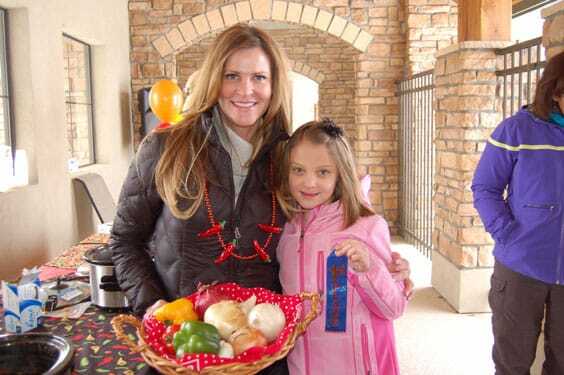 Aimee Goodrich and her second grade daughter Hannah were the first place winners with their “That’s Good Chili” recipe which came from Aimee’s mother. Brown beef, onion and seasoning. Add remaining ingredients. Cook at 325 degrees for 3 to 4 hours.